The information about this bug in Launchpad is automatically pulled daily from the remote bug. This information was last pulled on 2018-07-25. In comment #39, Holger Berndt notes that the present behaviour is intention. Moving an item to the Trash is a revertible action, whereas emptying the Trash is not revertible. However, this can be very annoying and dangerous bug to a common user - a user may have pressed "Delete" to move very important data to the Trash, and then, without realising the previous action have cleaned the Trash, so permanently loosing that information despite there being a two-step (and partially revertible) process. In comment #38, David Siegel notes that the options would be ripe for some proper user testing research and design. a. In comment #92 Matthew Paul Thomas notes that a better solution to the problem of it being too easy to delete (move to Trash) files/folders with a single keypress would be to change the keypress to be a combo. For example the combo could be Ctrl-Delete. b. In comment #107 (and also earlier in the thread), Giorgio Gilestro supplies a patch to add another configuration key ('/apps/nautilus/preferences/confirm_delete') and accompanying user interface components to make single key deletion require a dialogue box pass-through. Some other environments, such as Konquerer, ask the user if they want to delete a file or a folder. c. In comment #28 Wouter Stomp, notes that applications (such as Gmail) allow the operation, but notify the user with a "yellow box" at the top and an "undo"/"cancel" option. d. Perhaps you have another possible solution, that deals with the core problem without impeding the workflow of others. There is a discussion in gnome.org about this issue. I'm personally in favour of not asking confirmation but warning the user (for instance through the status bar message). I am in favour to fix this. Or at least to have the option to choose if the user want or no want the warning. Things get even worse if you are working on a ntfs partition using ntfs-3g. In this case, the files are completely removed without asking, no trash involved! This is irritating to me, I wish it would include a working toggle to enable a dialog warning when deleting files. At least remove the part in the checkbox description under nautilus prefs that says "or deleting files" since it doesn't work. Another vote for this one. I'm a pretty advanced user, and spent 5 minutes today looking for files that disappeared after I misclicked. Nautilus should definitely offer the option to confirm before moving or deleting. Displaying the details of the operation in the status bar would also be helpful ("moved/deleted these files from dir1 to dir2"). It should ask for confirmation before it deletes files! People can accidentally press 'delete' and delete files accidentally without even realizing it, that is dangerous! With lots of file in trash, people don't inspect all, and just click 'Empty Trash'. New users, if they expect to see confirmation dialog, and they don't, they can panic. "Importance: Low?" This is peoples data at risk here! We are talking about users data and important data here! This should always be handled with care! Please take a look at my keyboard. My delete key is near the up arrow key so I delete accidentally many files. "because this is not windows, and because you can always go to the trash bin and undelete it again. :-)"
1. This is not windows but files goes without warning or confirmation into Trash and there is no restore action so everything to go in the right place. If you delete a file and you don't remember the right location there can be a problem. 2. The chance to wrote accidentally a delete command into console is smaller than pressing del key. So I think is very dangerous. Please fix it... This behavior must be optionally. I want confirmation... I check option. Someone else don't want confirmation?... uncheck option. I don't like enforcements. This is a no brainer that most software developers figured out decades ago. I can't think of one legitimate reason that this should not be an option. It's far to easy to make the mistake of moving a file/folder to the trash bin without noticing. There should be an option to confirm any delete or move to trash operation. Aside from the fat finger mistakes, there is the occasional confusion about which window has focus that can lead to an unwanted move to trash. I seem to be able to delete a folder from my Ubuntu file server by simply clicking the "delete" key. (When viewing the shared directory from my Ubuntu hardy desktop) This is really dangerous as (I don't believe) it goes into any kind of trash folder - the data is simply lost. I feel this bug should have highest importance. I'm actually of the other camp. I get frustrated having to lose time confirming every action I wish to perform. It makes me scream "Yes I wish to delete this file, why do you think I pressed delete in the first place?" at my screen. It makes me think back in horror to the days I used that fisherprice green-blue operating system. If you press delete and clear the trash without looking which files you will be deleting, than sure you will be eventually loosing files and using computers is going to be "dangerous" for you. But people please, we have countless backup and versioning systems to save us from disaster. And the terror of cats can be overcome by locking your computer if you leave it unattended. Confirmation dialogs are just plain annoying. This is my patch (it's for SVN). If "Ask before emptying the Trash or deleting files" is checked in Nautilus preferences it will show a confirmation dialog when trying to trash something. The dialog text needs to be translated, it will default to english. I also posted this patch in Mailing List on Wed, 17 Dec 2008. This behaviour is really incredible. I can't believe this *** bug *** has to be discussed so lengthy and has not yet been fixed. If you don't like to get a warning when deleting a file, you should just had to check the appropriate option to get rid of the warning. Has nautilus always been this way? I find it hard to believe that any file manager would not have this option available. I have been a konqueror user for a while and was hoping to get used to nautilus, but have come across many very basic issues like this one. I will be switching back to konqueror until this is fixed. This bug is far to risky for me. My impression is that this "bug" was meant to be like it is right now. If the previous is true, then this discussion should not exist within this bug-reporting system. I can't convince myself that the developers of nautilus didn't think about it, since many other operative systems include this behavior. The question will be then... why do they take this decision? I would really love to hear some arguments regarding this respect. reading the comments, I found my self very impressed to see how people try to enforce others to use a system that doesn't ask for confirmation before deleting, while others beg for having a warning before removing a file. My opinion is that clearly a simple check box can avoid this disjunctive as the decision is left to the user of each system. We should differentiating the two ways of sending a file to the trash bin - dragging and dropping, or pressing the Delete key. In the case of drag'n'drop, it is not expected to confirm the file 'deletion'. This is the way it is done on MS Windows also. In the case of pressing 'Delete', I believe it is expected (by default!) to confirm the file operation. It is reasonable to include an option to disable the confirmation, either by a system setting, or by a 'Don't ask again' check-box shown on the confirmation dialog (unchecked when shown). File deletion confirmation when pressing 'Delete' is also used in MS Windows. I believe this is the expected behavior by the majority of users, especially new and inexperienced users. As said, more advanced users can disable this feature. When a file is moved to the trash bin, the user considers it GONE. Not all users know to look for the files there, not all of them know they can restore it. Data should not be kept there, so being there means it is deleted. Moving it out from there is a restoration operation, not a normal arrangement of the user's data. >I'm actually of the other camp. I get frustrated having to lose time confirming every action I wish to perform. It makes me scream "Yes I wish to delete this file, why do you think I pressed delete in the first place?" at my screen. It makes me think back in horror to the days I used that fisherprice green-blue operating system. Yes, true. I hate the Trash. I do not approve with this concept. If I want to delete, I press shift + del to delete the freakin file or i use rm WITHOUT the interactive option. I hate being asked for confirmation of things I know I want to do. I do not put things in Trash, I delete. Now if I happen to accidentially press delete, nautilus moves my files away without asking. I do not like that. My torrent folders just moved to the trash and my torrent app whined it could not access the anymore. I lose files because of this behaviour. Please appeal to the people in charge to put an OPTION there where you can disable the trash OR just put a bloody confirmation dialog there. The del key is just tooo much in reach to be accidentially pressed. Ubuntu gets more and more "user friendly" with every release, why not put that there, too. I have accidentally pressed the delete key... and I HAVE LOST my data because I have not looked for disappeared icon 2 days ago!!! I don't know that gnome put this files directly to the Recycle Bin... because when I delete a file with the right click of the mouse Gnome tell me "are you sure?" and this is the correct behaviour!! The rules "ask for deleting" is clear... ASK ASK ASK... why Gnome does not ASK if I will that Gnome MUST ASK??????? FIX this (really simple and stupid) bug please!!! Are you serious?! Any other desktop environment (Windows / KDE) asks. This is what the user expects! > Are you serious?! Any other desktop environment (Windows / KDE) asks. This is what the user expects! That doesn't mean it is correct though. A confirmation dialog for moving to trash would be intrusive. The trash is there to cover you in the event you accidentally delete a file. If people want a dialog, then we should just get rid of the trash entirely, as it would be completely redundant. about what happened and a way to undo it. >> Are you serious?! Any other desktop environment (Windows / KDE) asks. This is what the user expects! > If a file or a folder is selected in Nautilus and you accidently press Delete button, they are moved to the Trash. > Very annying and dangerious bug to a common user - I deleted very important data without realising then cleaned the Trash, so lost that information. > For example, Konquerer asks you if you want to delete a file or a folder. This is rather disappointing. First of all, we don't need notification bars, or fancy things to tell us we "accidentally" deleted something. Second of all, why is upstream so determined to change the mindset of the users? This is really simple, add a small option somewhere in the settings (it's not like there are an overwhelming amount of options already). "Prompt for confirmation when sending a file to trash". Put a little check box next to it. Heck, you don't even have to make it checked by default. How hard is this? I can think of no easier solution to something that a large group of people consider a problem. Sadly, my words are wasted. I was growing fond of Gnome's simplicity, but this mindset has convinced me that the Gnome camp is not where i want to be... and even not where the majority of my customers want to be. This single item is actually large enough to switch them all over to KDE. Yes, i know i can use Konqueror or Dolphin in Gnome... but they're just not seemless. Good night, and have fun with your ultra user friendly GUIs that confound the masses. not sure why you consider not asking confirmation for actions as something confusing, do you want a dialog "you choose to cut a file are you sure" to be displayed when doing ctrl-X too? and a confirmation "you are going to move those files there" when doing a drag and drop somewhere too? I never said it was confusing. Using ctrl-x and ctrl-v needs no confirmation (though feel free to make it an option), and i don't think i need to explain why. Konqueror by default (at least the version i'm using) actually asks you if you want to move, copy, or link a file every time you drag and drop one. This is of course configurable. This is a bug because if there is an option "Prompt for confirmation when sending a file to trash" it MUST work! What's the problem in making it an option? So everyone will be satisfied. I need definitely a confirmation dialog, because every now and then I accidentally hit the del key without noticing. I swear I am having the hardest time understanding those who oppose this. There is already a checkbox to ask the user whether they want a confirmation dialog for real delete. What is the big deal in having another checkbox to ask whether they want a confirmation upon move to trash??? It's 10 lines of code, for chris sake! You don't want no confirmation dialog? You leave unchanged and your life is the same. I did loose some files just because I hit the delete key accidentally(reads: *without even noticing I did*). How useful is the trashbin when it contains things that you are not even aware are inside? You empty your trashbin and voila, your data are gone! This is incredible. After losing my entire movie collection due to an accidental deletion (how was I supposed to know half my hard drive was in the trash can when I emptied it? ), the lack of a confirmation option may well be enough to get me to move back to Windows. It is absolutely absurd to me that an operating system as powerful and flexible as Ubuntu won't even give me the *option* to request a dialogue box before deleting items with one keystroke. I'm a huge fan of Linux, but this is probably a deal-breaker for me -- especially since this is a feature that's been requested for years from many users and still has not been implemented. If I can't find a workaround for this, I'll be forced back to Windows, because I simply do not have the time to continually restore all of my files from backup due to one accidental keystroke. Marking this as High importance because it deserves some user testing to determine the appropriate solution. Just putting in my 2 cents: Wouter's suggested idea is a fantastic compromise. It allows power users to keep using the delete key without being interrupted by having to confirm an action, but things that are accidentally trashed can be quickly and easily un-done. It'll be interesting to see what the user testing shows. >about what happened and a way to undo it." I think Nautilus' behaviour is correct. The behaviour is by design, and the "confirm_trash" option is doing what it is supposed to do: Request confirmation for the non-revertable actions "Delete Trash" and "Delete files", but not for the revertable "Move to trash". And guys, please stop speaking for "the users" - 10 vocal guys on a bug tracker don't represent a majority of users. That being said, I agree that a cluebar with an "Undo" button might be a useful _enhancement_ to Nautilus. But this whole discussion also has a downside. Nautilus is not the only program which can move files to the trash, so that option would either make the desktop more inconsistent, or it would have to be implemented in all applications that can send files to the trash. There might be another option: It's easy to monitor the trash, and act upon trash-related events, no matter which application caused it (Python code for having notification bubbles on trashing stuff would probably not be longer than this very post). So this feature would maybe better be implemented outside Nautilus. Of course, there is already an application that does exactly this: The trash applet. So one possible solution would be to provide an option to make this one more noisy, and maybe provide a trashing-diary with undo buttons. >I think Nautilus' behaviour is correct. The behaviour is by design, and the "confirm_trash"
>"Delete Trash" and "Delete files", but not for the revertable "Move to trash". Despite I have different opinion, I accept the Nautilus authors' decision. I just wonder if the requested behavior can be reached e.g. by some plugin. >That being said, I agree that a cluebar with an "Undo" button might be a useful _enhancement_ to Nautilus. Thank you for your work, could you send the change to GNOME for review? FN keys not working on most of the notebooks; hardware compatibility; real software bugs, etc. there are serious issues out there with Ubuntu. those should be the "paper cut" bugs: hardware compatibility and usability. such feedback on a thread from a bunch or crybabies winning about "will my stuff be deleted if I push a key, or can I have zillion warnings before anything happens..."
are you in a religious quest or something for pushing it so hard? Gnome is simple, light. use KDE if you look for bloat, or go back to Windows. Or even better, ask for your mom before pushing your DELETE key. and if she is already dead, out of confusion, hang yourself. nomnex, I think you're getting one confirmation confused with a zillion. Well, you already get a confirmation if you want to delete the trash-bin. So you are asking for two confirmations instead of one. The question is: If one confirmation does not prevent you from deleting the trash, why should a second confirmation make a difference? IMHO it doesn't. It's just bloat. But, I don't object to the way it's supposed to be implemented. It's an additional option. The default behaviour isn't changed. So you can enable it if you like joel. Finally, I agree with nomnex - although he could have been a little more polite - this issues has been completely overblown and is not very important. Ubuntu folks should not wast any more time with this topic. I am extrapolating. but whatever, when people open a bug/comment, asking "can you fix the problem" while there is no problem, but these people themselves, they should be turned down. I welcome usability to some extend, eg. automount a USB drive, vs. opening the prompt to mount the volume, but this thread is not about usability, is about stupidity (and winning). Today there is a request for this, and tomorrow for that. ++ code, ++ bloat, ++ actions/settings and -- usability. The imbeciles should voice up their stupidity on commercial software boards. Windows or Mac are especially designed for them, welcome them and listen to them. Here is a perfect cretins tool http://www.symantec.com/norton/ghost (~200 MB) on Windows. Just wondering, the day (if) the very same people try "rsync", they will probably open new bugs to request all sorts of warnings, ha-ha! @nomnex : To maintain a respectful atmosphere, please follow the code of conduct - http://www.ubuntu.com/community/conduct/ . This bug isnt part of the papercuts , nor does nautilus upstream want to fix this either . Hence it is marked upstream as 'wont fix"
You might not agree with the bug report or its intentions , but there is no need to be rude. Edit: it did "not" occurred to my mind, etcetera. It bothers me that no one wants to fix this. It would seem more logical to me that deletion of a file via the delete key needs more confirmation than deleting with the mouse. files from your system, so you rather use it with the switch (-i or -I). nomnex, I do not appreciate your attitude, assumptions that I am novice user, and implication that I do not know how to use the rm command. My point is that the warnings in place are the unnecessary ones and that ones that ought to be necessary are what is being debated. Deleting a file with the cursor is clear and deliberate. It requires too many actions for it not it be. Pressing the delete key is not always a deliberate action. How often do you hit A when you meant to hit S? Most people read context menu items before clicking them, even expert users. 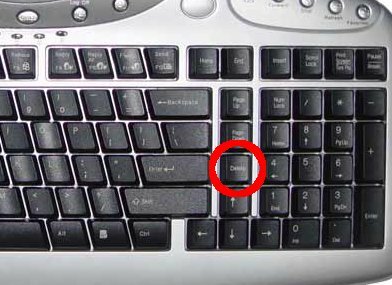 Most people do NOT read the keys on their keyboard before hitting them, ESPECIALLY expert users. Also, I don't see why you feel the need to reiterate the file goes to the trash? This has been clarified quite clearly in previous posts. Regardless of where the file goes, with no confirmation on pressing the delete key, there is much greater potential you don't know the file has been removed, and then if you empty the trash, the file IS gone. Are you saying you want everyone to look over EVERY single file in their trash before emptying it? My overall point is that I don't understand why this is even a debate. Developers are acting like it's a major overall to add an if statement with a message box. this is not a bug though myself and many other users really feel that there needs to be a confirmation for the delete action (well at least an option to turn it on - before the file(s) are moved to trash). whilst most people are arguing that they are content with a confirmation on delete of the trash bin, my argument is that if i have already confirmed the file deleted in trash why would i ask for a delete out of trash. when you throw away a piece of paper you don't hunt through your garbage checking everything, you just throw it out. though i'm positive you think before throwing it out in the first place. > user, and implication that I do not know how to use the rm command. > ones that ought to be necessary are what is being debated. to MOVE files and that's wrong. directory's content as any other directory. Hope that ease the grief? I am sorry, but I got tired of this thread. Who do I close the bug (I am the originator)? I am a happy cretin user of Windows (yes, nomnex, you give very bad impression of Linux users, unlike people in Ubuntu forums), so I do some cretin stuff like Silverlight 4 development, VLDB processing and AD management - without any issues. > management - without any issues. Oh, you want to humor me. Go head. why you bring this here? Go post about you skills on a MS board. help other Linux users and to get help. What makes you think such thing? learning curve. Linux needs commitment. PS: Tired? Nothing holds you to un-subscribe. Adding a confirmation alert is one way to make something more difficult to do, but it is the most crass way. A much simpler solution would be to change the keyboard combo for sending something to the trash, so that it requires two keys rather than one. change the combo to something like CTRL+m to prevent a shortcut that can be hit by accident with a single key and to show it's not a deleting but a moving operation. Suppose that you have 1500+ items in your trash bin. You pressed DEL without noticing which file it was. Objectively speaking, do you still think it is a reasonable behavior? If one wants to "Move" to the "Trash bin", he will simply drag and drop it to the waste bin. I'm not saying they are "short-sighted", but it would be really nice to consider other people's view and think what could be the possible outcomes if not fixed. And who simply says "because it is Not Windows" does not seem to be logical answer to me - just emotional. As you could see from the above example, confirmation dialogue should be quite "practical" for many people, especially for people who want to move to the Linux world from Windows. If it makes Ubuntu better, why not accept and fix it? People who don't like this functionality could simply turn it off. > Suppose that you have 1500+ items in your trash bin. > You pressed DEL without noticing which file it was. A warning for every single move-to-trash operation to "fix" this problematic usecase is implementing a cruel workaround instead of fixing the issues (in this case trash view usability). In fact, current Nautilus git master has "trashed-on" column in list view, and (irrespective of the view) sorts the trashcan by reversed deletion date by default. So, the question "Which file did I just delete" is pretty simple to answer, no matter how many million files you have in your trashcan: It's the topmost. I don't understand the ongoing "holy war" at all. Why can't the confirmation dialog be optional. Those who want it, will turn it on, and those who don't want it will turn it off. Problem solved and everyone's happy. > the question "Which file did I just delete" is pretty simple to answer, no matter how many million files you have in your trashcan: It's the topmost. How is it the topmost? The Wastebasket has no way to sort by deleted date. If it did, then this improvement would be a lot less urgent, IMHO. > The Wastebasket has no way to sort by deleted date. "In fact, current Nautilus git master has "trashed-on" column in list view, and (irrespective of the view) sorts the trashcan by reversed deletion date by default". So, as it landed in git master, it will be in one of the next releases. Good news, the "trashed on" column will be in maverick: bug 301552. I don't know why it is not implemented. Come on, it's no big deal : it's 20 lines of code, something like this ! look at the proposed patch. After several years asking/waiting for the implementation of an option like ¨Prompt before send Files or Folder to trash¨ I´m almost near to left gnome, it´s my favorite but many people needs this a simple option easy to implement. If someone knows how or who can do this behavior (please let me know) I´m disposed to pay for that, please, someone who ask to nautilus developers how much cost implement this option and I will pay for that. If it is very expensive, I hope other users help me to pay. Other option is to help to programming it, with a correct guide I´l be able to do it. 3. Ensure "confirm_trash" is ticked. Edit > Preferences > Behavior: Ask before emptying the trash or deleting files.. This bug is actually about getting an option to warn the user before sending files to the trash. I'll update the title of the bug. After 103 comments, I don't know why I am compelled to jump in. OCD, I guess. I detest Windows. I'm convinced that Microsoft is the company Dilbert works for. I tell all my friends how wonderful Linux is, and what an easy path to Linux Ubuntu is. But then I have to add: "It's still a little geeky around the edges. For instance, if you accidentally hit delete, it will move files and even whole folders to the trash without asking--but don't worry you can get them back. But the trash can isn't where you expect it to be. It's down here..."
True, one of the things I love about Linux is that it runs fast on cheap hardware and I suppose bazillions of confirmations could add up to bloat, eventually, but you'd have to work hard to overtake Moore's law. I fact, I think you'd have to make it a priority. Maybe an even cheaper fix would be to put the trash bin on the desktop by default. That's where refugees from Windows expect to see it. Since Ubuntu is positioning itself as the gateway to Linux, the option could be set by Ubuntu's installation. This behavior is alarming only because the Delete key says "Delete," not "Move" and because a new user might not notice the trash bin hiding out on the bottom panel, but if the trash bin was highly visible, that should solve it. I submitted a patch to solve this issue back in 2009 (see comment #72). It's depressing to see that it has not been taken into account despite lots of people really want this. The current schema you are referring to has nothing to do with this bug. The confirm_trash boolean value will ask user a confirmation before emptying the trashbin or before deleting files without passing through the trash first. Bug #95853 is about having a confirmation when you move files to the trash (mainly because if you hit the delete key on your keyboard without noticing it you will lose stuff). My patch adds a new schema variable in apps/nautilus/confirm_movetotrash and that will let the user decide whether they will have a confirmation prompt or not. If all installations were to ship exactly the same stuff, there would be no point using one or the other, don't you think? Anyway, I just sent the patch upstream and let's see what they say. In my case, I don't really care anymore cause I switched to archlinux about 3 years ago and I am using my own patched version of nautilus-elementary. I don't understand whats the problem with giving users the choice of letting nautilus prompt before moving files to trash. It could also be disabled by default but we should be able to choose! understand what the barrier which makes this bug not be fixed yet. have friends that still like it, hence my interest. > disabled by default but we should be able to choose! a) easily solved (I went back and forth between looking for solutions on the internet, and essentially rewriting most of the code GG wrote in a patch more than 7 years ago, before noticing that he did it). d) ... and would have effectively no additional performance overhead (we're calling one user setting, one branch operation, and MAYBE a hundred bytes of memory - if this is what we're calling bloat, give me a break kids). e) and when you find yourself on a strange, annoying or poorly laid out keyboard, becomes VERY important. I truly can't believe this community sometimes. Because credentials and history seems to matter to some people, I've been using Linux AND Windows for over 15 years (each). I am comfortable in both - though more comfortable on the command line, where things can't accidentally end up in the trash by hitting a delete key that is too close to an enter key. I spend most of my time developing code in Linux, and then using Windows for anything "productive" that I want to do - i.e. anything other than develop code on the command line. Why? Because in a modern operating system - one that wants its users to know what's going on, and prevent things like accidental data loss if the wrong key is pressed - these aren't issues. And I'm a user who knows what I'm doing - I can only imagine the user that is relatively new to Linux. The arguments - 'OMG do we need a dialog box for copies? moves? drags?' Sure, if those can be done by one errant keypress. If move-to-trash became a ctrl+whatever combo instead of a single key, this whole topic would be moot. Did I spend 20 minutes having to fish things out of the trash because of it tonight? Yes. Could I have possibly, irreparably, lost data if I hadn't noticed? Absolutely. If these are the sort of things that generate ridicule, then it's time to stop trying to entice "ordinary users" (you know, the OSX and Windoze folks everyone seems to revile) from ever using Ubuntu. Or to stop making Gnome/Nautilus the default file browser. thank you for that comment - you are just hitting the nail on the head!! I'm IT professional for 25 years and decided to change to ubuntu 8.04 LTS - I really like it. On the other hand I can't believe that nobody took care on the need of so many users since more than 8 years now. I read about hundreds of workarounds in GNOME to change Nautilus short cuts, but I didn't make any of them work for Ubuntu. Hitting DEL by accident may happen to everybody !! Please Nautilus developers out there bring this annoying discussion to an end. any of the above mentioned options would be fine. I hate wasting time to check the trash before deleting its content - that's just not user friendly.